Rafael Angel Garcia Ortega.Signed by the Colorado Rockies as a nondrafted free agent on January 30, 2008; signed by Rolando Fernández, Francisco Cartaya, and Carlos Gómez...Claimed off waivers by the Texas Rangers on November 27, 2013...Claimed off waivers by the St. Louis Cardinals on January 6, 2014...Signed by the Los Angeles Angels to a one-year contract on December 1, 2015...Signed by the San Diego Padres to a minorleague contract on December 6, 2016...Signed by the Miami Marlins to a minor-league contract on December 15, 2017. Split the season between Miami and the organization's Triple-A club in New Orleans...Collected 10 triples with New Orleans to set the club's single-season record...Began the year with the Baby Cakes, before the Marlins selected his contract on 8/10…Remained with Miami for the remainder of the season, appearing in 41 games and making 30 starts in the field (19 in right field, 11 in left field)...Made his MLB season debut on 8/10 vs. NYM, his first action at the big league level since 2016...Collected three outfield assists...Played all three outfield positions at Triple-A. Spent season with Triple-A El Paso in San Diego's system. ..Tied for Pacific Coast League lead with 26 steals, and was seventh in doubles (31)...Ranked 13th in PCL with .317 batting average, was tied for 14th in on-base percentage (.383), and was 18th in hits (133)...Had career-best 16-game hitting streak from June 3-19, batting .328 (22x67) with 13 runs scored, four doubles, two triples, two home runs, and nine RBI ...Hit .327 (36x110) against left-handed pitching, compared to .314 (97x309) against right-handers...Appeared in 37 games (35 starts) in center field, 34 games (31) in left field, and 32 games (31) in right field... Hit .402 (49x122) when playing left field, compared to .302 (32x106) in right field and .260 (40x154) in center field...Posted sixth career season with double-digit outfield assists (10); had five from center, three from left, and two from right...Finished season with 108 career outfield assists in 10 Minor League seasons (115 including MLB)...Most common spot in batting order was first, where he hit .309 (54x175) in 42 games...Had three 30-hit months: May (31), June (33), and August (33). Turned in season-best monthly average of .371 (33x89) in 26 games in August; had .456 OBP that month. Appeared in career-high 66 games over three separate stints with Los Angeles-AL in 2016...Had first career home run on May 25 at Texas, a three-run shot off of Shawn Tolleson...Had seven outfield assists (six in left field, one in right field) for Angels; also had 10 while at Triple-A Salt Lake...Hit .324 (12x37) with runners in scoring position... Set his MLB high for hitting streaks with six-game run from April 20-27, batting .450 (9x20). Played in 131 games with St. Louis' Triple-A Memphis Redbirds, batting .286 (125/437) with 22 doubles, six triples, two home runs and 42 RBIs... Also scored 66 runs and stole 17 bases in 23 attempts... Led the Redbirds in games, hits, total bases (165) and stolen bases. After opening the year batting .192 (10/52) in April (17 G), went on to bat .299 (115/385) over the final five months of the season (113 G). Played all three outfield positions (88 G in CF, 22 G in LF and 16 G in RF), fashioning a .985 fielding percentage... Paced the PCL in outfield assists, throwing out 15 would-be baserunners. In 2014 with Double-A Springfield, his 16 outfield assists ranked second in the Pacific Coast League... Claimed off waivers by the Cardinals from the Rangers, Jan. 6, 2014. Played in 42 games for Tulsa (AA), starting 39 in centerfield, before season was cut short due to a leg injury in June... Recorded 10 multi-hit games including four consecutive multi-hit efforts from May 29-June 1... Tallied a season-high four hits vs. Springfield (5/16)... Batted .308 (8-26) with runners in scoring position and .308 with RISP and two outs (4-13)... Scored a run in 19 of 42 games. Played in 116 total games with all coming at Double-A Modesto except for two...made his Major League debut on 9/30at Los Angeles (NL) going 2-for-3 with a walk and stolen base while starting in center field. While at Modesto, batted .283 (140-for-495) in 114 games with 23 doubles, eight triples, eight home runs, 60 RBI and81 runs scored to go along with 36 stolen bases...led the Nuts in stolen bases and triples, was second in runs scoredand third in doubles and RBI. Went 15-for-44 (.341) in 10 April games and 39-for-122 (.320) in 28 May games...hit .286 (66-for-231) in the first half ofthe season. Led off in 108 of his 112 games at Modesto and played in 111 games in centerfield. In the offseason played for Tiburones de La Guaira of the Venezuelan Winter Leagues where he went 24-for-80 (.300)in 41 games. Made the jump to Low-A Asheville, where he spent the entire season as the starting center fielder and leadoff hitter for the Tourists...set career highs in games, at-bats, runs, hits, doubles, triples, home runs and RBIs...was second on the Tourists with a .294 batting average, a mark that was also ninth-best in the South Atlantic League...led Asheville and tied for third in the SAL in triples and also led the Tourists with his 32 stolen bases and 141 hits...after the first month of the season, his average never dropped below .250. Spent his first season in the States with Rookie Level Casper, where he was named a Pioneer League Mid- and Postseason All-Star...led the Ghosts in average, games, at-bats, runs, hits, stolen bases and starts in the outfield...also led the Rockies system and was fourth in the Pioneer League in average while his 23 stolen bags, 69 runs and 103 hits were second-most in the PL. Played his entire second professional season with the DSL Rockies as the everyday center fielder...was named to the DSL All-Star team as an outfielder for hitting .324 (83-for-256) with seven doubles, eight triples and 39 stolen bases...his 39 steals were the fourth-most in the DSL, while his .324 average was the seventh-best in the league...played the majority of the season as an 18-year old, and finished with more walks (32) than strikeouts (23)...his .809 OPS was the best on the club. Spent his first professional season with the DSL Rockies as one of the club's regular outfielders...led the Rockies with 17 stolen bases and 38 runs scored...drew as many walks (20) as he had strikeouts (20)...his 20 walks were the second-most on the club...hit .296 (37-for-125) over the season's final two months. January 28, 2019 LF Rafael Ortega assigned to Gwinnett Stripers. November 18, 2018 Atlanta Braves signed free agent LF Rafael Ortega to a minor league contract and invited him to spring training. November 1, 2018 Caribes de Anzoategui signed free agent LF Rafael Ortega. October 17, 2018 LF Rafael Ortega elected free agency. October 11, 2018 Miami Marlins sent LF Rafael Ortega outright to New Orleans Baby Cakes. August 10, 2018 Miami Marlins selected the contract of LF Rafael Ortega from New Orleans Baby Cakes. January 30, 2018 LF Rafael Ortega assigned to Venezuela. December 15, 2017 Miami Marlins signed free agent LF Rafael Ortega to a minor league contract and invited him to spring training. December 15, 2017 LF Rafael Ortega assigned to New Orleans Baby Cakes. November 6, 2017 CF Rafael Ortega elected free agency. October 27, 2017 LF Rafael Ortega assigned to Caribes de Anzoategui. August 1, 2017 El Paso Chihuahuas activated CF Rafael Ortega from the 7-day disabled list. July 23, 2017 El Paso Chihuahuas placed LF Rafael Ortega on the 7-day disabled list. December 19, 2016 LF Rafael Ortega assigned to El Paso Chihuahuas. December 13, 2016 San Diego Padres signed free agent LF Rafael Ortega to a minor league contract and invited him to spring training. November 18, 2016 LF Rafael Ortega elected free agency. November 17, 2016 Los Angeles Angels sent LF Rafael Ortega outright to Salt Lake Bees. November 14, 2016 Los Angeles Angels designated LF Rafael Ortega for assignment. October 29, 2016 LF Rafael Ortega assigned to Caribes de Anzoategui. August 29, 2016 Los Angeles Angels recalled LF Rafael Ortega from Salt Lake Bees. June 11, 2016 Los Angeles Angels optioned LF Rafael Ortega to Salt Lake Bees. May 17, 2016 Los Angeles Angels recalled Rafael Ortega from Salt Lake Bees. May 6, 2016 Los Angeles Angels optioned CF Rafael Ortega to Salt Lake Bees. April 16, 2016 Los Angeles Angels recalled Rafael Ortega from Salt Lake Bees. April 2, 2016 Los Angeles Angels optioned CF Rafael Ortega to Salt Lake Bees. December 1, 2015 Los Angeles Angels signed free agent Rafael Ortega. 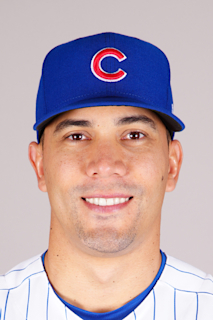 November 6, 2015 CF Rafael Ortega elected free agency. September 20, 2015 CF Rafael Ortega assigned to Tiburones de La Guaira. February 4, 2015 St. Louis Cardinals invited non-roster CF Rafael Ortega to spring training. October 9, 2014 OF Rafael Ortega assigned to Tiburones de La Guaira. September 10, 2014 St. Louis Cardinals sent CF Rafael Ortega outright to Memphis Redbirds. September 8, 2014 St. Louis Cardinals designated CF Rafael Ortega for assignment. August 26, 2014 CF Rafael Ortega assigned to Memphis Redbirds from Springfield Cardinals. July 2, 2014 Springfield Cardinals activated CF Rafael Ortega from the 7-day disabled list. June 30, 2014 Springfield Cardinals sent CF Rafael Ortega on a rehab assignment to GCL Cardinals. June 3, 2014 Springfield Cardinals placed CF Rafael Ortega on the 7-day disabled list. April 1, 2014 CF Rafael Ortega assigned to Springfield Cardinals from Memphis Redbirds. March 10, 2014 St. Louis Cardinals optioned CF Rafael Ortega to Memphis Redbirds. January 6, 2014 St. Louis Cardinals claimed Rafael Ortega off waivers from Texas Rangers. December 30, 2013 Texas Rangers designated Rafael Ortega for assignment. November 27, 2013 Texas Rangers claimed CF Rafael Ortega off waivers from Colorado Rockies. October 10, 2013 OF Rafael Ortega assigned to Tiburones de La Guaira. September 30, 2013 Colorado Rockies recalled Rafael Ortega from Tulsa Drillers. July 4, 2013 Rafael Ortega roster status changed by Tulsa Drillers. May 11, 2013 Tulsa Drillers activated CF Rafael Ortega from the 7-day disabled list. March 11, 2013 Colorado Rockies optioned Rafael Ortega to Tulsa Drillers. September 30, 2012 Colorado Rockies selected the contract of Rafael Ortega from Modesto Nuts. April 17, 2012 Rafael Ortega roster status changed by Modesto Nuts. March 31, 2012 Modesto Nuts placed CF Rafael Ortega on the 7-day disabled list. September 7, 2011 CF Rafael Ortega assigned to Modesto Nuts from Asheville Tourists. April 7, 2011 Rafael Ortega assigned to Asheville Tourists from Casper Ghosts. April 7, 2010 Rafael Ortega assigned to Casper Ghosts from DSL Rockies. October 8, 2009 CF Rafael Ortega assigned to Tiburones de La Guaira. January 30, 2008 Colorado Rockies signed free agent CF Rafael Ortega to a minor league contract.